RUSTAVI, GEORGIA. 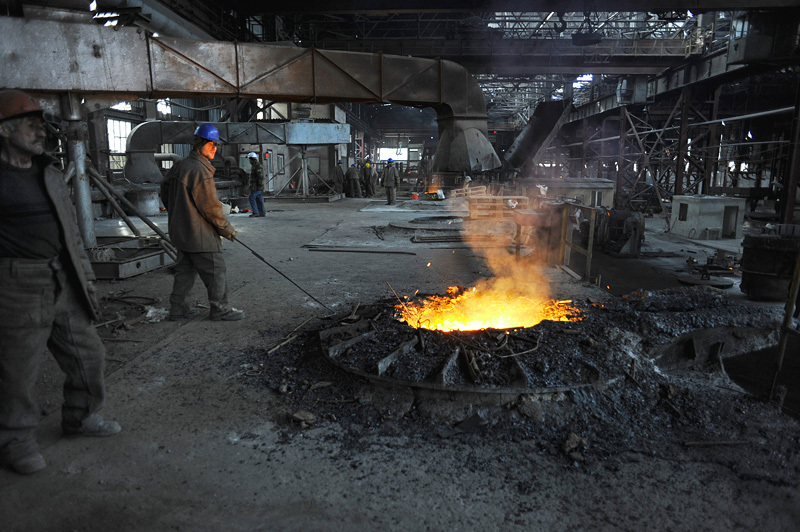 Workers smelting scrap metal before it is converted to steel at the Rustavi Steel plant in Rustavi, Kvemo Kartli region, Georgia on January 20, 2012. Built in 1946 at the height of Stalinist power in the Soviet Union and upgraded in recent years, Rustavi Steel employs 1,750 in what was once the greatest industrial center of Soviet Georgia; today several heavy industry factories remain in the city which is traversed by the Baku-Tbilisi-Ceyhan oil pipeline.